The Teen Choice Awards is young Hollywood's moment to shine and actually one of my favourite red carpets of the year! Fun and flirty, it's nice to have a shake up of the usual faces and see some of my most-beloved TV stars on the red carpet. A huge fan of Pretty Little Liars, Vampire Diaries and most recently The Mortal Instruments I was thrilled to see Nina Dobrev, Lucy Hale and Lily Collins rocking some sweet designer pieces in the spotlight. However, the starlet that stole the night was Lea Michele who made her first official public appearance since the sudden death of boyfriend and co-star Cory Monteith. 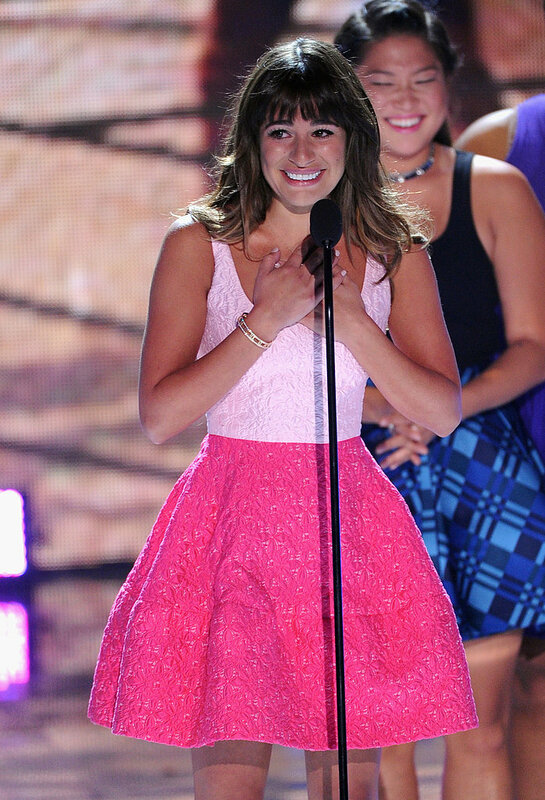 In a tear-filled and heartfelt acceptance speech for Choice Comedy Actress, Lea dedicated the award to Cory and touched hearts with her moving words on Cory's "incredible talent, his handsome smile, and his beautiful beautiful heart". Here's a quick recap on the night's best dressed - who's your favourite? Fun indeed. Some of these I can never get away with this, but they look great on these young people.